Going old school with a Marvelous in My Monday post! Marvelous Is… having dinner with two of my favorite friends from undergrad! Both Kelsey and Heather were in the area for two different reasons and the 4 of us met up for dinner Friday night in Naperville. 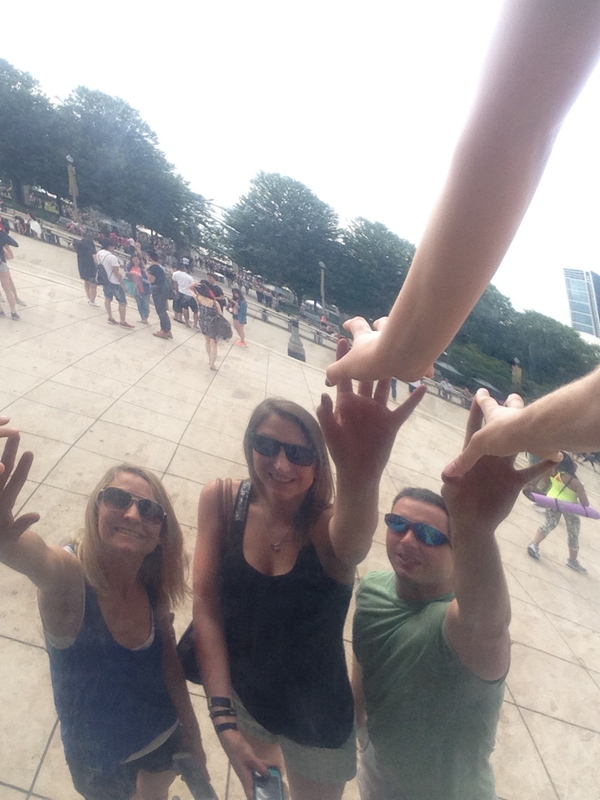 It was really nice to get to catch up with both of them and explore Naperville a little bit. I had only been to Naperville once before (the weekend prior) but did not get to explore the town at all so it was fun to see the river walk, friday night life and the super cute downtown area. We ate at Q BBQ which was a good barbecue place, Brent and I shared a huge plate of 3 meats and two sides, we both liked it but I think I prefer Rudy’s in Texas. 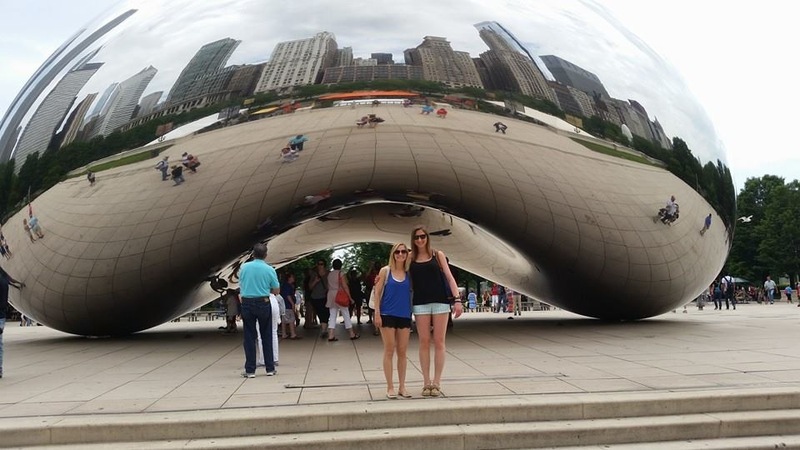 Marvelous Is… exploring Chicago with Heather who had never been downtown before. 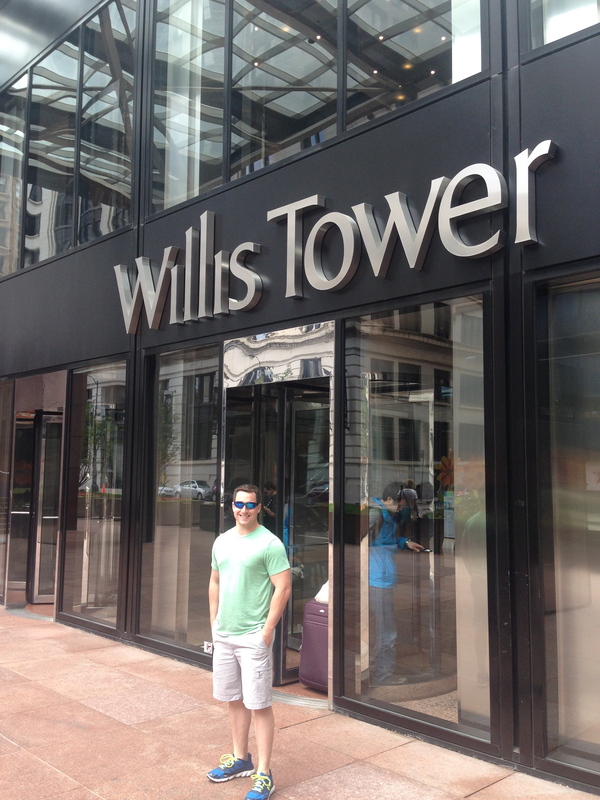 We had our eyes set on going up the Sears/Willis tower as both Brent and Heather had never been. 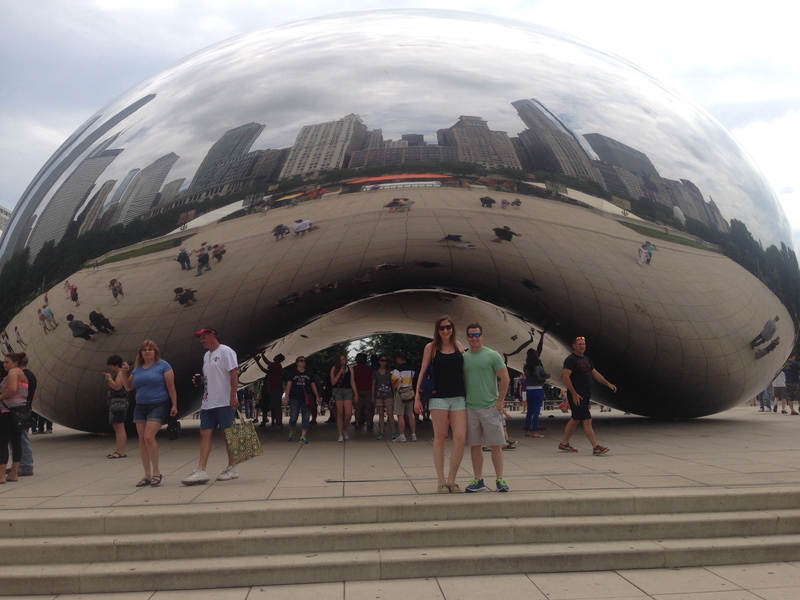 But first a mandatory stop at Millennium Park to see “the bean” was made. 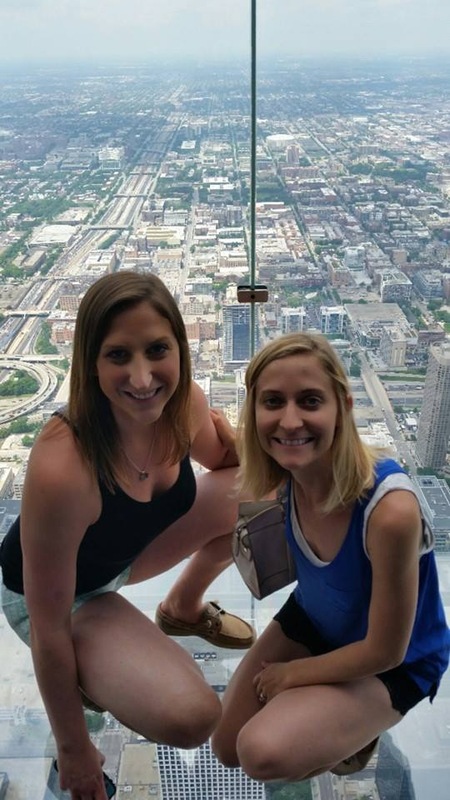 I had been up to the 103rd floor of Sears tower before but it had been lots of years so it was nice to see the city from such magnificent heights again. I forgot how scary it was to step onto the glass top! 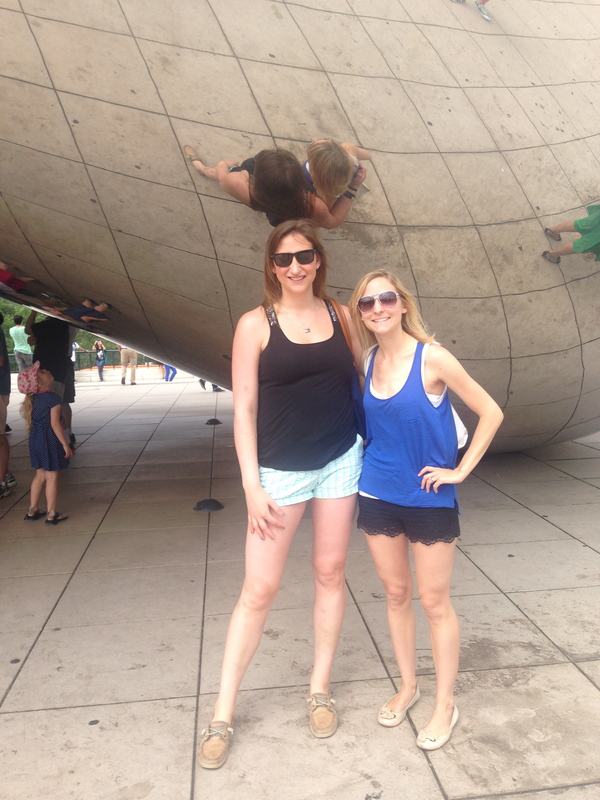 Marvelous is… accidentally stumbling upon the ITU World Triathlon when trying to go to Buckingham Fountain & getting caught in a short shower. I have never seen the Buckingham fountain and thought it would be a fun way to end our few hours in the city, but when we turned the corner we were greeted but a lot of barricades and bikes flying by. It was pretty amazing to watch the women race! Marvelous is… going to celebrate with Brent’s friends as they revealed the gender for their second child. 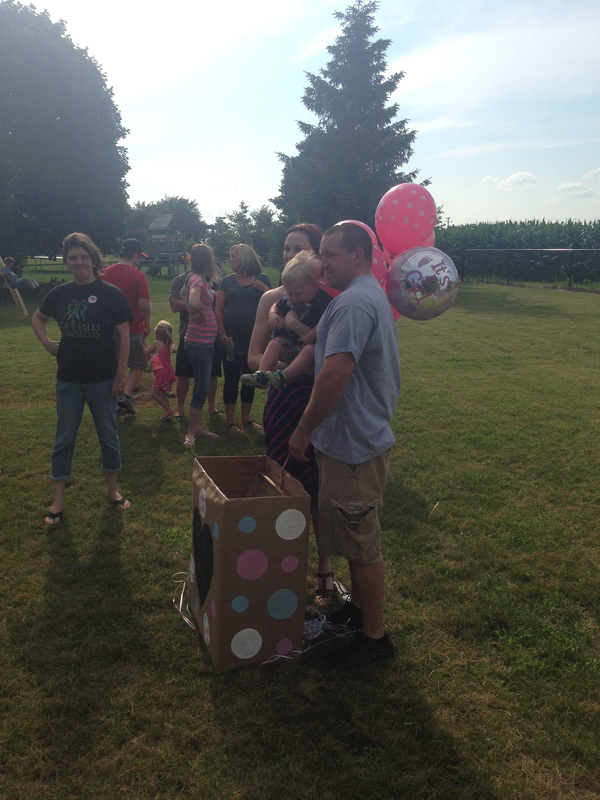 It was exciting to see Shane & Kayla so excited to find out the gender of their second child and even more exciting to see Kayla’s reaction to having a little girl. Congratulations Guys! 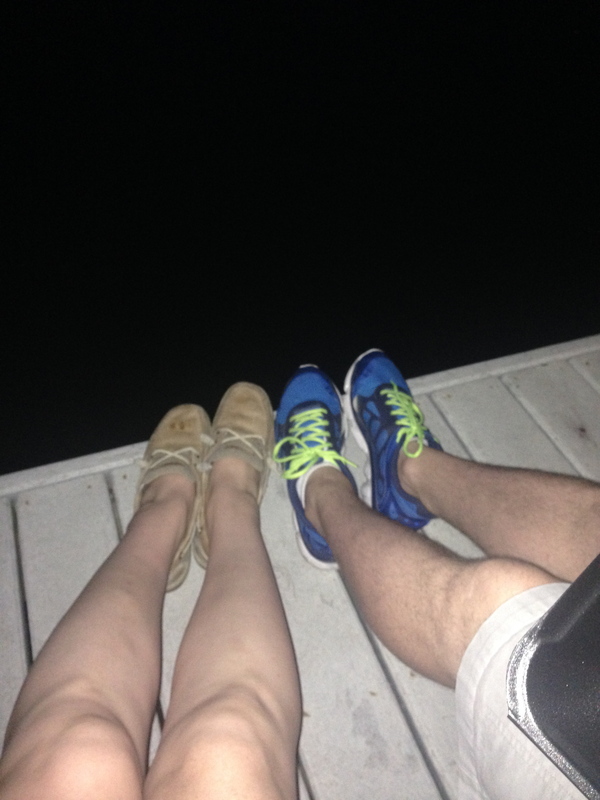 Marvelous is… spending some time with Brent saturday night down at the docks. 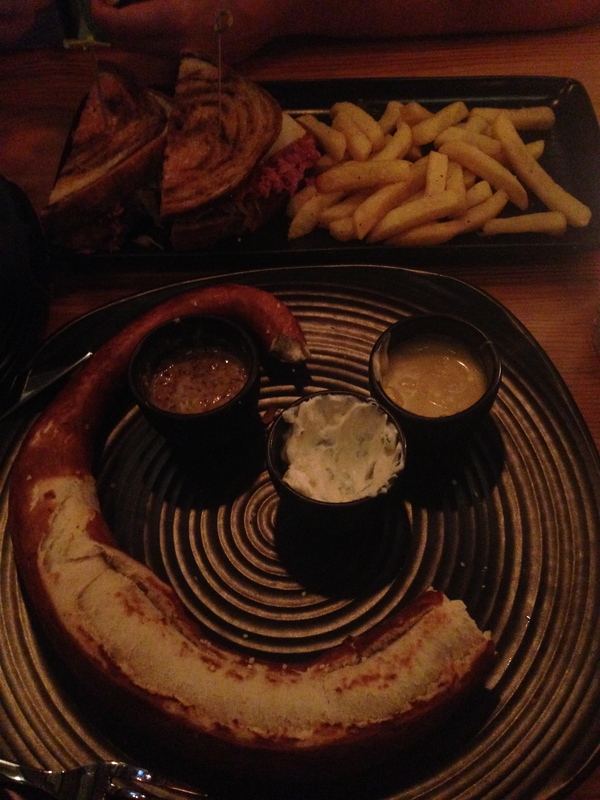 We went to Brent’s new favorite brewery and shared a giant pretzel and sandwich. We ended up taking the sandwich to go because the restaurant was super loud. Instead we headed town toward the river and sat on the dock while we finished our meal. It was a great ending to a very long day! Marvelous is… getting to finally sleep in!! I was most looking forward to Sunday to be able to sleep in and relax, the past few weekends have been very busy and haven’t included much extra sleep. I slept until 6:30, ugh, then turned over and slept until 8 #adultproblems. I then lounged and relaxed until 10 and really didn’t start the day until almost noon #lazygirl. Marvelous is… sitting by the pool and listening to Gabrielle Bernstein! I usually get really distracted at the pool and it was really nice to spend the time listening to positive life lessons and her 2009 Lecture. Added bonus getting some sun, this white girl needs a bit of a tan. 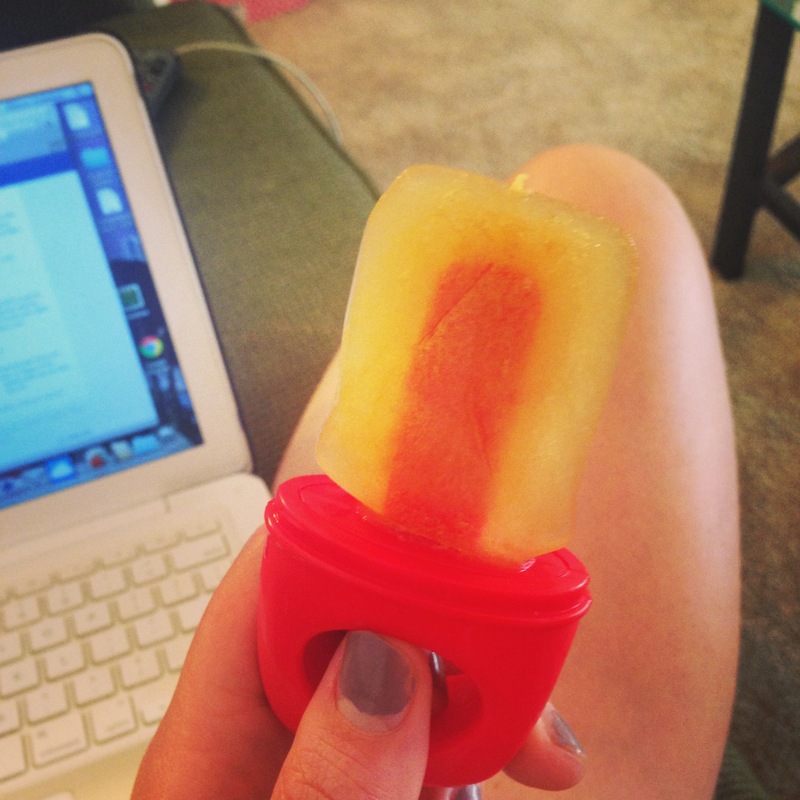 Then cooling down with a refreshing green tea popsicle! Marvelous is… spending sunday night relaxing and blogging. What better way to end the weekend? 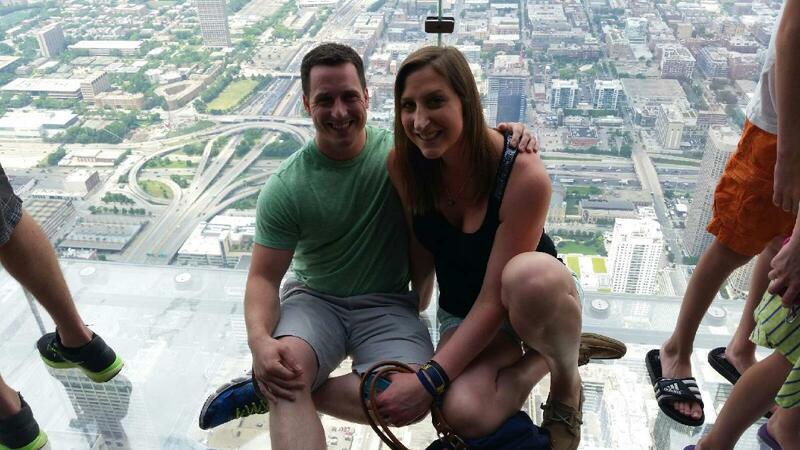 Have you been up Willis Tower? What do you do to keep occupied at the pool? Saturday and Sunday while I was driving to my Pose Training course I decided instead of listening to mindless radio I thought I would jump on the podcast bandwagon. I didn’t really know where to start or where to look to find the type of podcast that I was looking for. I went to Meg as I remember her talking about recently listening to a few podcasts I figured I would start there. I listened to Maddy Moon’s podcast with Kaila Prins and then with Stefani Ruper on Saturday, then moved to Katie Dalebout’s podcast with Gabrielle Bernstein and a solely Gabby podcast on Sunday. I loved the different talks and how they made a somewhat mindless drive into a productive thinking and inspirational session. I felt inspired, rejuvenated and motivated each time I got to my destination and it was just an amazing feeling. While I have been following Katie (who is also from Michigan and actually part of my inspiration for my blog name!) and Gabby for a while now I had only occasionally listened to them talk. I felt like I knew them both immediately and could see so much positivity in their talk. Maddy was new to me along with her two guests. Again I felt so much connection to these three ladies and so much similarity to what they have gone through. 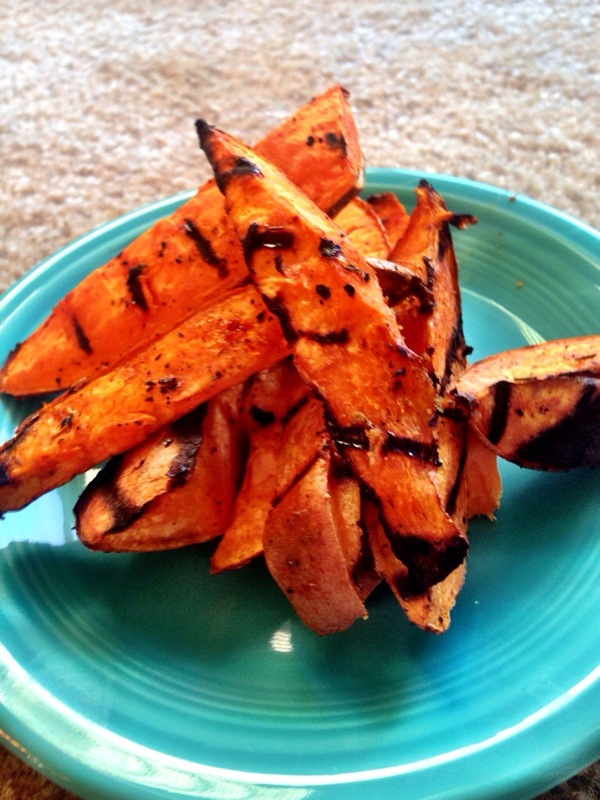 I felt a great sense of calm knowing that I was not alone and that other people have very similar thoughts as I.
Grilled Sweet potatoes with dinner! 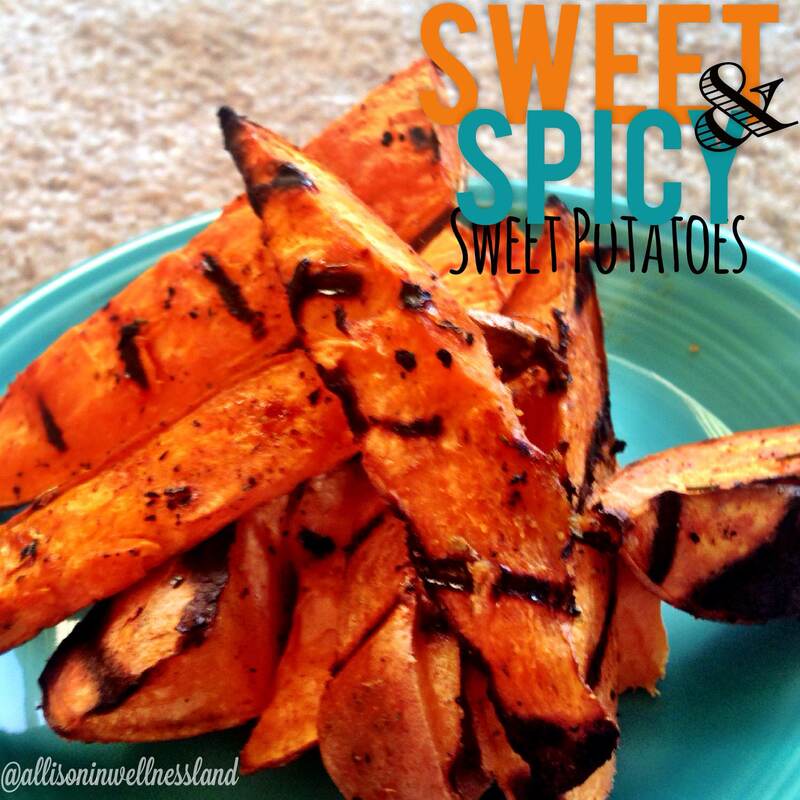 One topic that repeated a few times during Maddy’s podcasts was the guilt associated with Sweet Potatoes. I remember having similar guilt before and now I think “how could I live without having a sweet potato? 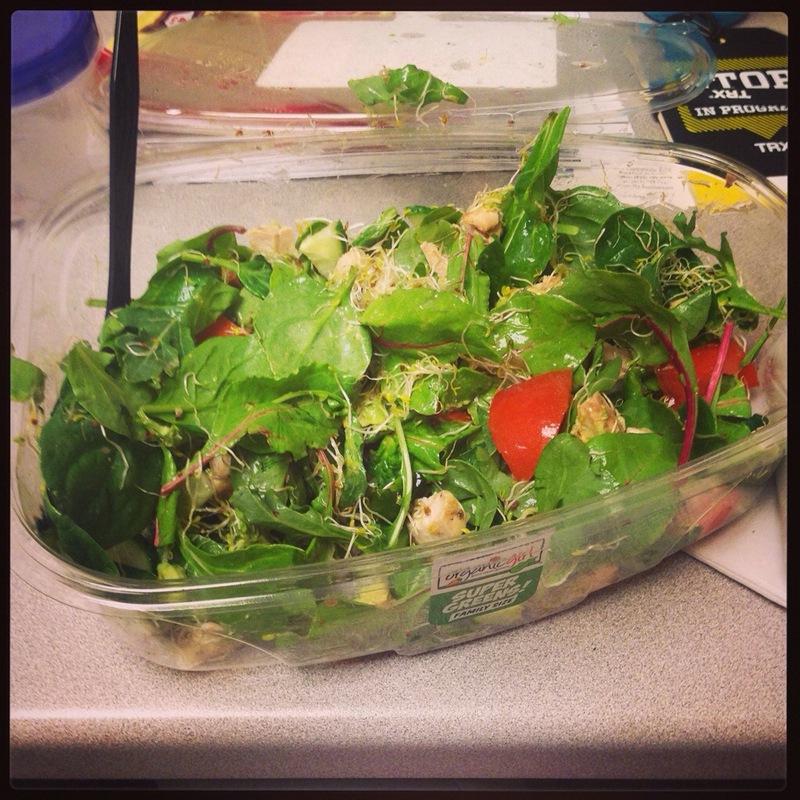 ?” they are seriously staples in my diet and I often find myself craving one. Recently they have been perfect to supplement my grilling obsession! My most recent sweet potato recipe was a serious winner. I have tried to season with spices before on sweet potatoes but haven’t experimented much in “marinading” them, combining liquid and spice seasonings. Are you a podcaster?? please share your favorites! It was a really long weekend of learning and I have to say I loved it, dare I say it was Marvelous! The weekend started with a grilled dinner Friday night. I was craving grilled chicken and another delicious grilled side so I hit the store and pick up what I needed. 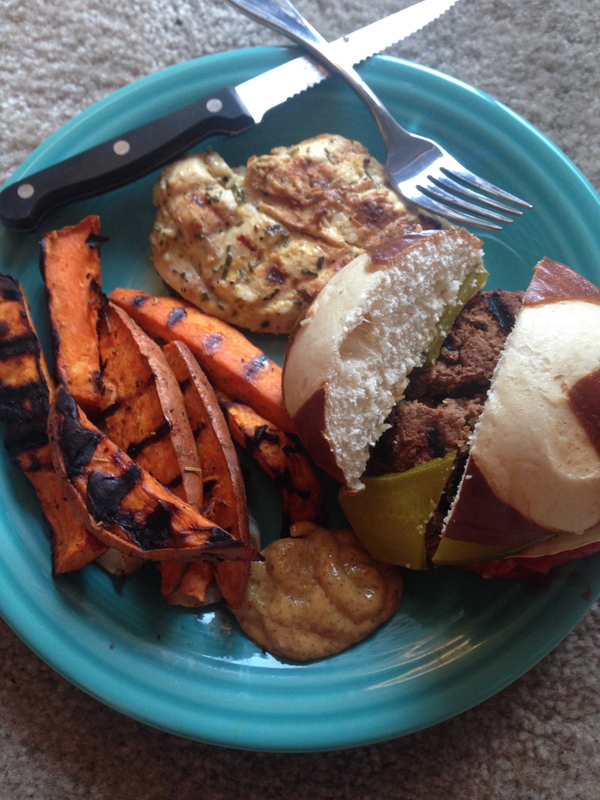 I got chicken, rosemary and an orange for a (hopeful) marinade, and some sweet potatoes for my something else. My chicken marinade was subpar, definitely needs some work. I think I need to practice perfecting the science of marinading meat. I never know what to use and how to combine flavors so they taste flavorful, balanced and not overpowering. 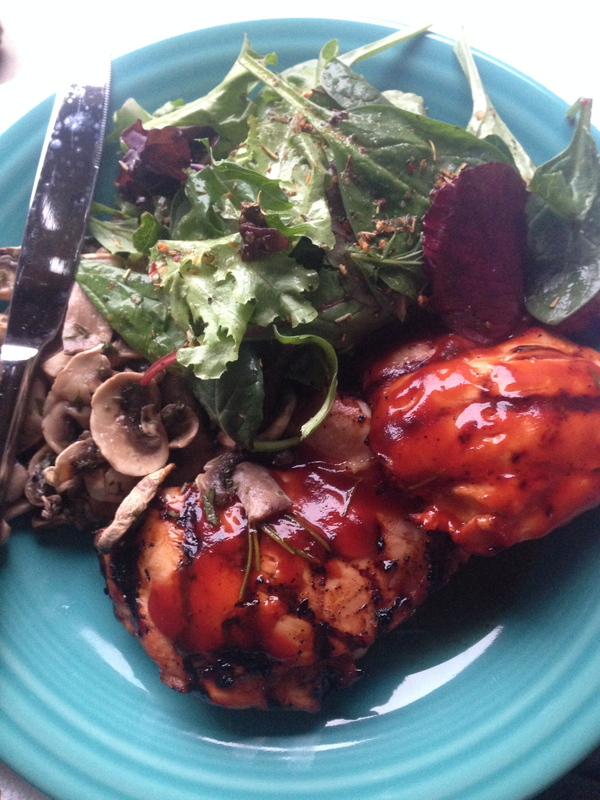 This marinade combo was not balanced, but definitely flavorful. Saturday started super early with a drive to my training course. I was really excited, nervous and (honestly) bummed to spend my weekend in a training. I knew I would probably learn something but didn’t really want to commit my entire weekend there. Saturday my mind was blown. You guy’s I am so excited to share the PoseMethod with all of you and share my experience during my level 1 training. The course was sponsored by my company so I was with like minded (read: crazy minded) Physical Therapists while we learned the PoseMethod. *I will be sharing a complete review of my weekend once I get some media back from my friends at Pose! When I was driving home Saturday night, fully immersed in Pose theory, I drove through a crazy rain storm. I am used to driving in the rain but my teetiny car did not perform so great in the really heavy rain, strong winds and poor visibility. I pulled off and stopped twice during my drive because driving <30mph on the highway really isn’t beneficial to my life. After another early morning and long day of learning again with the Pose Masters I was left with my mind racing. When do I start, how do I start, I need to go running, lets go running… Yep brain gone crazy = welcome to my life 24/7. 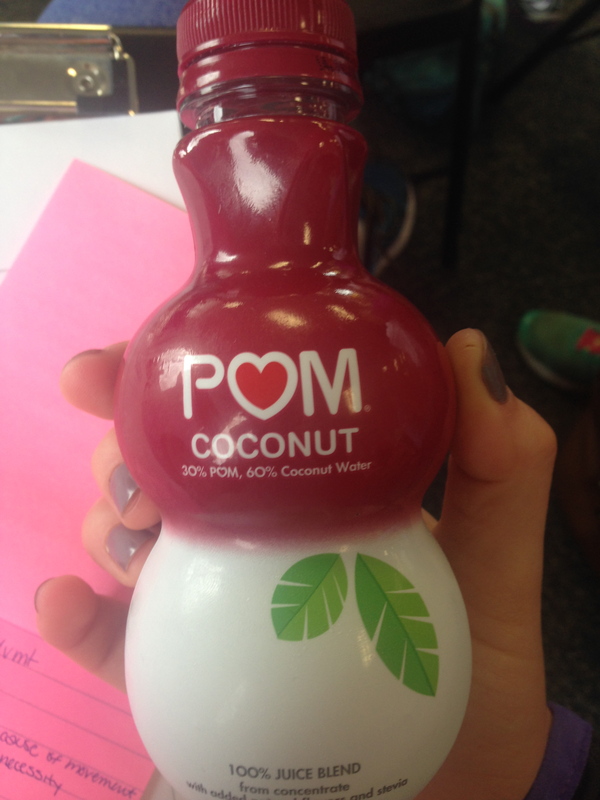 Brent bought some Pom-Cocount juice Saturday and saved 1/2 the bottle for me Sunday. Now I am not traditionally a coconut fan, but this juice was amazingggg I enjoyed the refreshing flavor that coconut provided and am wanting to try some of the other coconut water/juice’s out there. Maybe using all that coconut oil in my cooking has helped break my taste bud “dislike” for coconut! I got home, got dinner ready, another grilled dinner de ‘jour. Have you figured out that summer means grilling? It is just so easy! 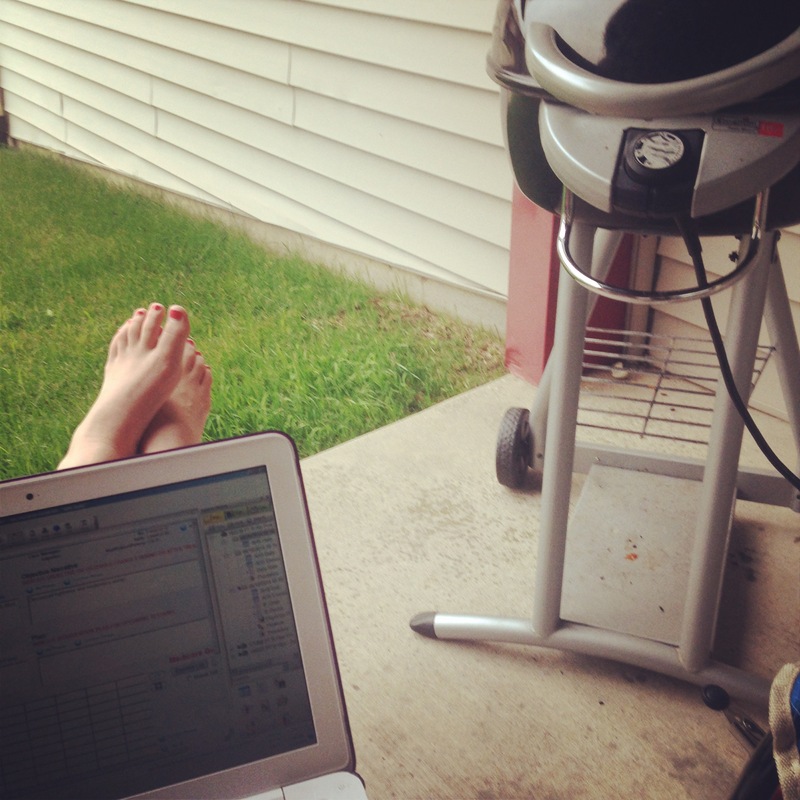 Since it was super nice out Sunday night I sat outside and finished some work while dinner was on the grill. Ah Summer! Then I face-planted at 10pm on the dot. 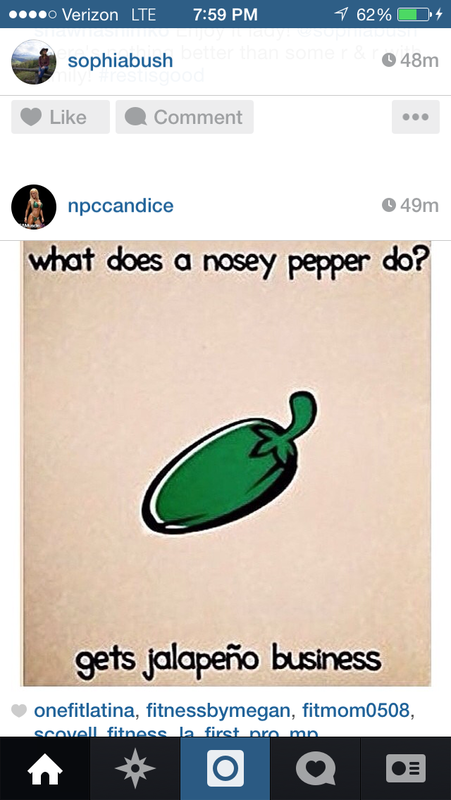 Dead. mmmm Grilled Chicken & grill marks! I hope you all had a wonderful weekend! Like I said, I can’t wait to share with you all more about the Pose Method but for now make sure you check out their website and get a taste for it! Have you ever heard of POSE Running? Are you a summer grill junkie? As Always Thank You Katie. Yep my phone died, my world ended and now I am going to be the most boring blogger ever and share my weekend without pictures. ill try to keep you entertained with my witt but that is challenging as well! the weekend started early with a trip to Ann Arbor and time visiting my family and finding out that my baby cousin is now the same height as me. um please stop growing up, I cannot be that old!!! followed quickly by a handstand lesson from my varsity gymnast in the backyard, motivation and encouragement is hard to come by with such a tough crowd. yeah still can’t do one, getting closer, and more hang time! Saturday was spent taking engagement pictures! It was a great time and I absolutely cannot wait to see the finished products. The one sneak peek we got was hilarious! Sunday was spent with family again, I love holidays when I get to see everyone! When we were heading out my grandparents gifted us with an electric grill which I cannot wait to get up and running! Then the dreaded drive home. I seriously wish I could teleport from location to location rather than drive. I hope you all had a wonderful weekend and celebrated the amazing Fathers in your lives! First I want to say CONGRATULATIONS to Kelsey for winning my Bondi Band giveaway! Please email me your address so you can claim your prize! I love reading updates from my blogger friends about their daily lives. I seriously think that they all live much more interesting exciting lives than I do. It makes me wonder would you all care what my day to day is like? I can’t imagine you do but I thought I would share Just.In.Case! 5-5:30 daily hygiene early in the morning really does exist. you’re welcome peak friends! 7:00 – 7:45 GOSSIP HOUR!!! okay not really I promise I do get ready in this time period but these girls have become my family and I love getting ready with them every morning. It is kind of like living in the sorority house again just with less drama! 8:00-12:00 TREAT TREAT TREAT, I generally have a patient scheduled every 30 minutes so I will see around 7 patients before lunch, but this number varies a lot. there are days when I see 3 patients before lunch and days I see 12. 12:00-1:00 stuff my face, catch up on social media, and document. I try to get notes done during lunch but often I just catch up on Instagram and Facebook. #sorryboss! 1:00-5:00 TREAT, TREAT, TREAT… Again I could see anywhere from 7-12 patients, however my 5:00 days tend to be on the slower side. 5:00-6:00(+/- 40minutes) – Document. I swear half of my time is typing what I did on patients. It takes up a ridiculous amount of time but is a necessary evil! 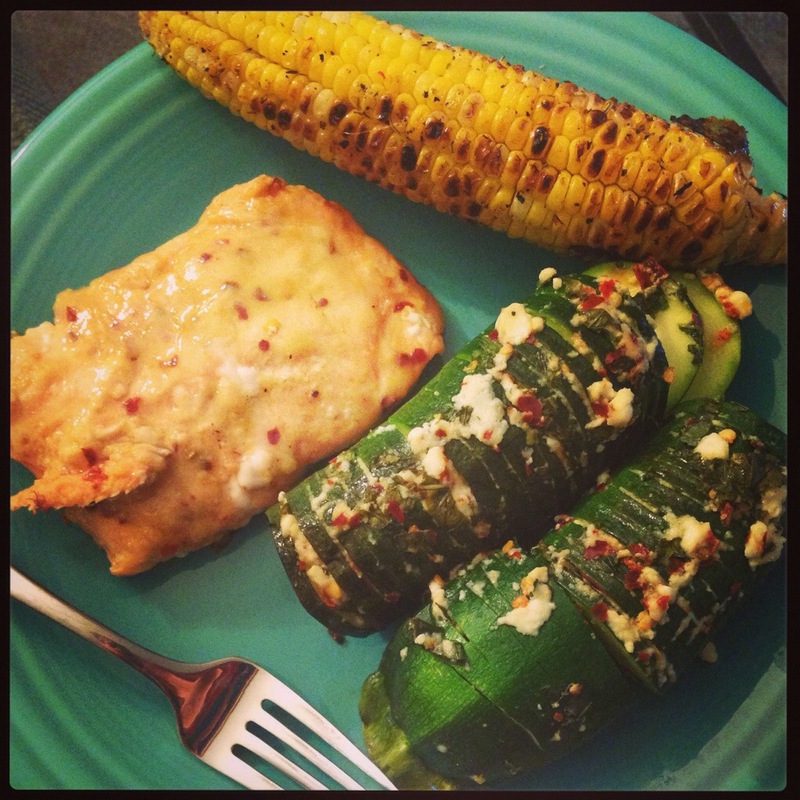 6:00-10:00 make/eat dinner, blog, watch tv, catch up on blogs/emails, spend time with Brent! 10:00 bed timeISH… I would say I generally am “in bed” by 10:00 but may fall asleep anywhere between 9:45-11:30. Brent would say I go to bed really early and he often tells me around 9:30 that it is almost my bed time, and if its after 10 he says its after my bed time! 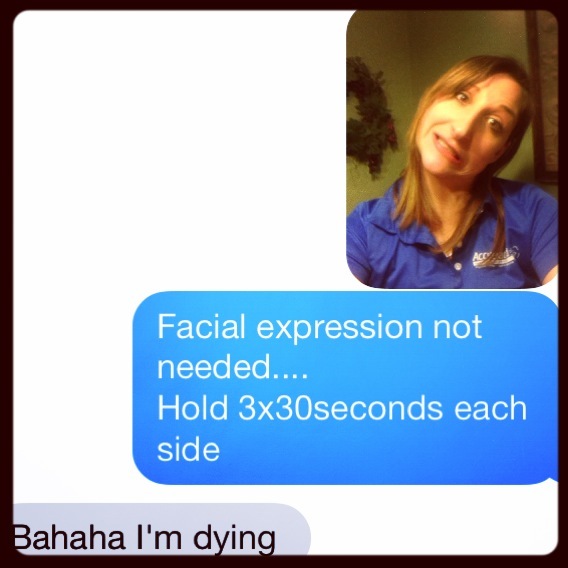 So there you have it, A day in the life of a Physical Therapist. I definitely sweat a lot during my day, whether it is showing an exercise, working on a patient or at the gym these muscles get little rest and my jaw hurts most nights. But I wouldn’t change it for anything. I love my busy days, early mornings and often long nights. 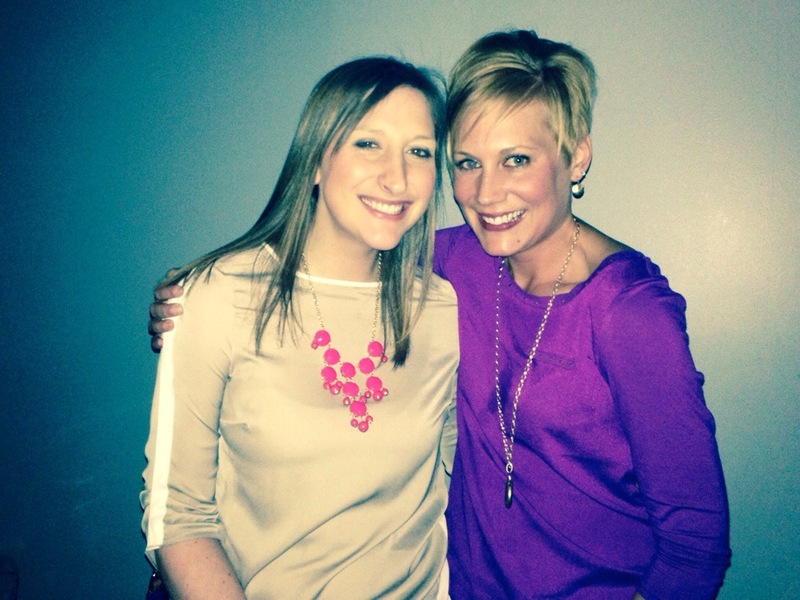 Linking up today for the first time in a long time with Jenn for WIAW!!! Make sure you check out her blog for the weekly foodie party. So that wasn’t super exciting, sorry. I will strive to live a more exciting blogger life and maybe one day I can do a Day In The Life post that will be more exciting! Do you still have a “bed time”? I had a semi-busy weekend unpacking, organizing and having some self-love relaxation time for myself. It’s nice to have our new apartment starting to feel a little more like home. Saturday I hit the gym late with Brent and knew I needed some pre-workout energy that wouldn’t keep me up at night. Since I typically workout in the morning hours if I take pre workout to late in the day my brain won’t shut off at night. 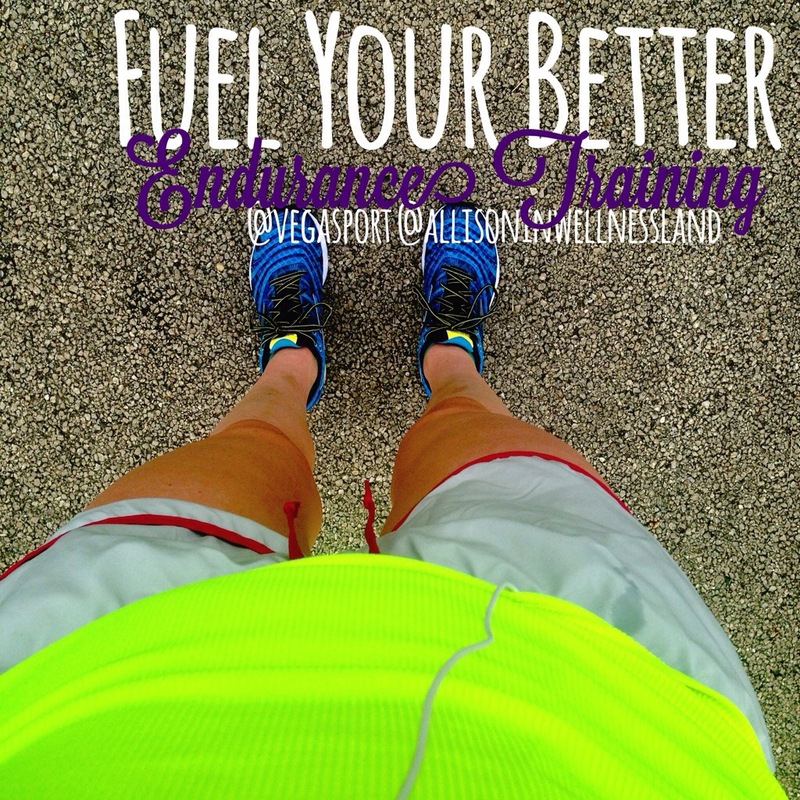 I quickly grabbed my Vega Sport Energizer and knew I would have a great workout. 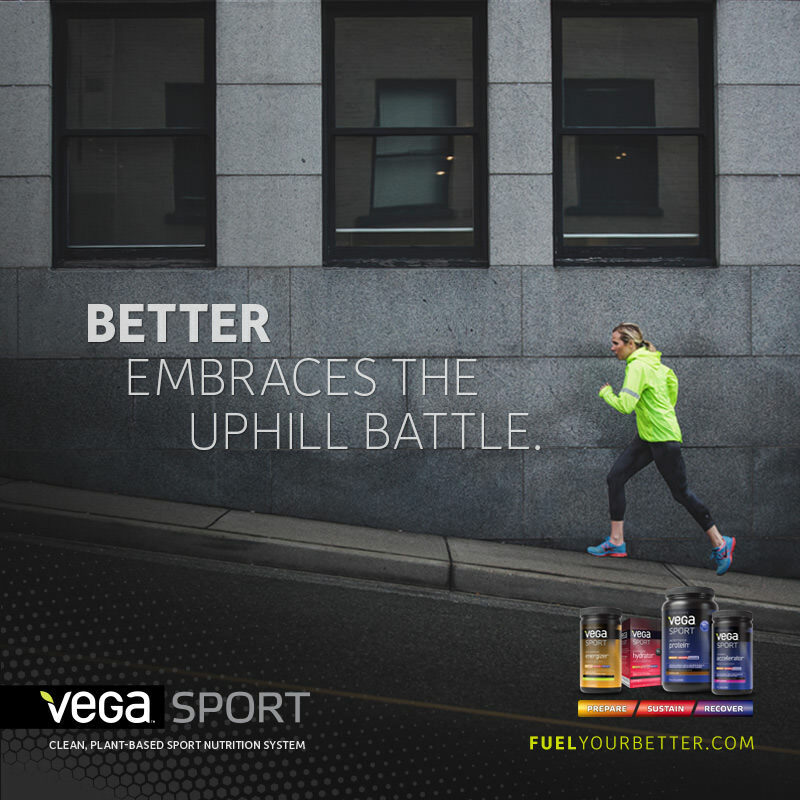 Vega Sport is a wonderful plant-based supplement system which has recently rolled out their Fuel Your Better Campaign. They are challenging us all to identify what is holding us back from your better. My better is limited by my post workout nutrition and sometimes overtraining, however each day I am limited by motivation early in the morning to hit the gym. This is why I chose the energizer to get an extra jolt of energy bright and early. What I love about the Vega Sport Energizer is the long lasting energy that I am given without the caffeine or sugar rush. 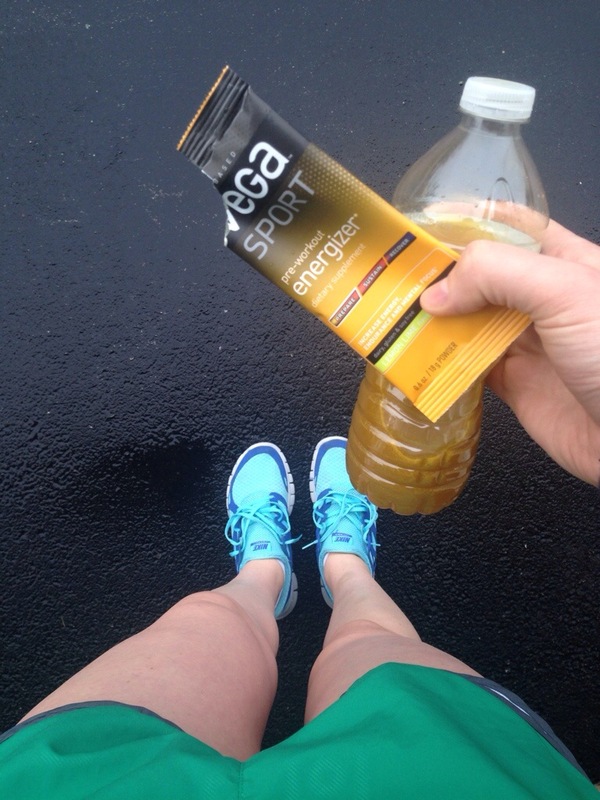 I turn to my Vega Energizer when I know my workout is going to be endurance based or longer than 20 minutes, anytime I am going to need longer energy I find the Vega Sport Energizer to be the perfect pair. I did not love the flavor of the lemon-lime powder when I first drank it however overtime I started to like it more, it is still however not my favorite, they do have other flavors and I will likely try those out! I also would not use it for my heavy lifting days or days when I need an immediate energy jolt, as it just did not provide me that energy capacity. I LOVE the FuelYourBetter campaign. Not only does VegaSport provide you with information regarding Motivation, Muscle Burn, Fueling, Stamina, Muscle Soreness, Overtraining, Hitting A Wall, and Body Composition but it helps you find the right way to fuel YOUR better. The information on the FuelYourBetter website is amazing and seriously legit. I cannot wait to try more of the VegaSport products, especially the Recovery Accelerator and their Energy Bars (I am always on the lookout for good energy bars). While we usually buy our workout supplements in bulk from a large distributor I really love how Vega strives to use clean, plant-based nutrition that is good for our bodies and fuels your healthy active life. I mean that is basically what I try to do with my breakfast, lunch and dinner so WHY wouldn’t I try to do that more with the workout supplementation. I workout to gain Optimal Health and realized I could do better by supplementing my health better. Vega Sport will likely become a part of my regular workout routine and I hope you find it helpful when you look to supplement your workouts too! Make sure you check out the FuelYourBetter website and identify where your supplementation is falling short, then go out and get your Sweat On! How do you Fuel Your Better? Have you tried VegaSport products before? I was provided the Vega Sport Pre-Workout Energizer at no cost in return for a review, however as always all thoughts and opinions are 100% mine. I wasn’t planning on posting today because well I frankly didn’t write a post but something happened this morning (yes I realize it’s still morning and only 6:30) that I had to share. This morning I woke up knowing I was going to have a full 11 hours of treating patients and knowing a good workout would serve me well. I walked into the gym feeling pretty good, started my workout and felt myself weak, fatigued and feeling very green. I knew I had to be at work today so if I pushed myself through the workout at a mediocre effort I would pay for it later. So rather than forcing a workout that wasn’t meant to be I stopped and spent some time on me! it sounds stupid but stretching my sore muscles, finding my center and practicing what I preach was exactly what I needed. It was a perfectly appropriate workout for me this morning and while I wish I had killed this mornings GPP workout I knew the smart thing to do and it was definitely the right thing. sometimes it’s okay to just chill in Child’s Pose! Nameste friends & happy Friday! I feel like this week has been extremely long and around 4:00 tuesday I was already ready for the weekend. We moved from our storage-unit / gypsy lifestyle into our new apartment Tuesday. I was happy to sleep in my own bed again and fell asleep FAST Tuesday night. Then around 12:45 I woke up to *BOOM* *BOOM* *BOOM* and I swear to you all that it was right outside my bedroom window and that it was 100% a gun shot. I then had this series of thoughts…. Woah was that a gun??? I swear it was a gun shot. No that was rain, who would fire off fireworks in the rain. Maybe its Brent (he was out), was he shot? Ok I am freaking out this is insane. My workouts have been a little all over the place lately. I have been really loving to incorporate TRX into my workouts and alternate doing typical GPP workouts with some fun TRX work. I also brought my TRX straps into my clinic and have had patients rocking it all week, I LOVE to see my patients concur something they never thought they would be able to do. This new apartment is super random, I spent probably 10 minutes trying to get the light in the front room to work, after flipping each and every switch I found out that none of them make the light turn on but two of them make the TV turn on and off! 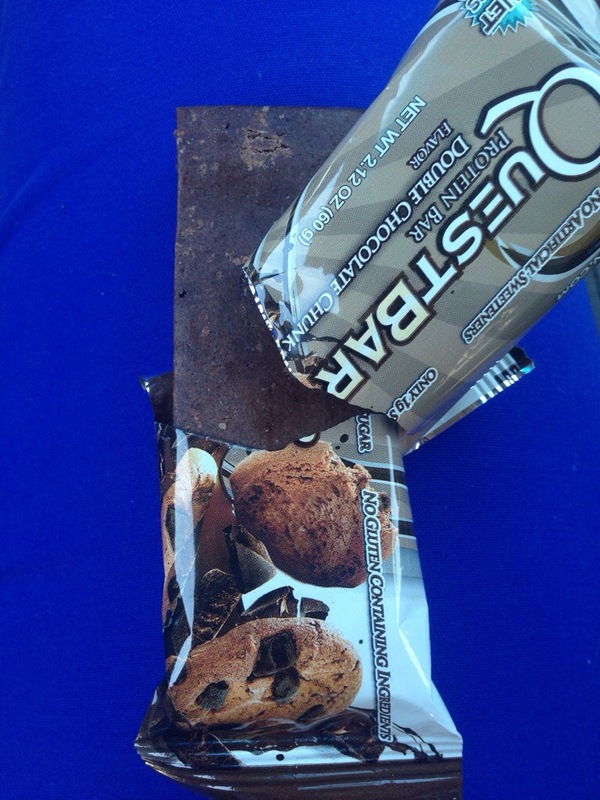 I finally feel like I can say I am a blogger… Tuesday I had my first Quest bar and followed that up with a second one on Wednesday. Tuesdays I ate straight up, didn’t warm it up or anything, I thought it was good but left a funny taste in my mouth all morning. Wednesday I warmed it for 10 seconds and devoured it! I didn’t have a funny taste in my mouth and LOVED it!!! I definitely see where the love is for these little bars of YUM. However the over $2 price-tag is my sticking point. I am super sad that I am not packing to get on a JetPlane and head to Blend. 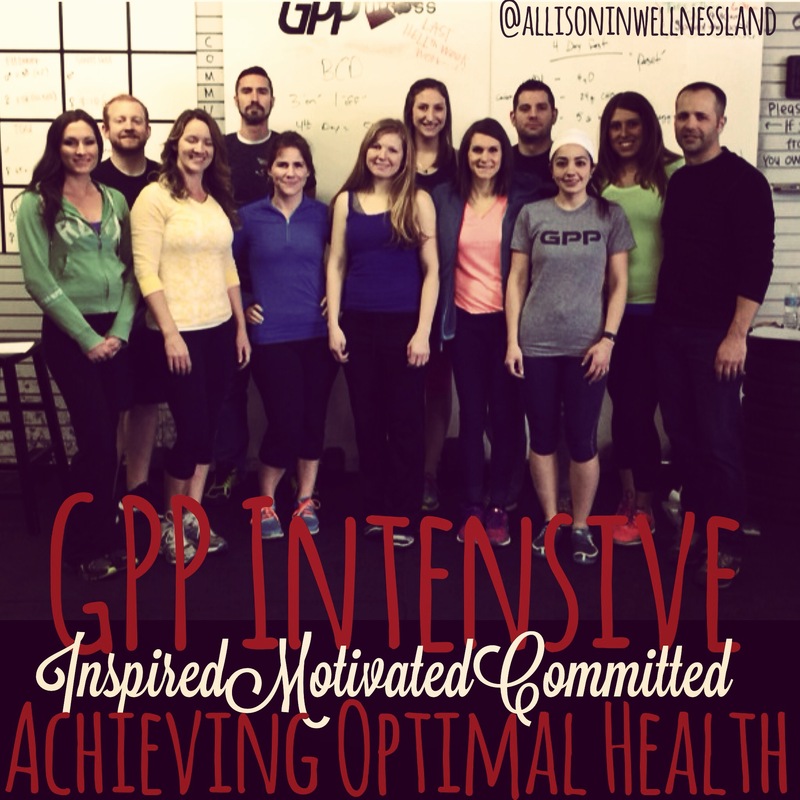 After going to GPP Intensive in January I was really hoping I would be able to make it back to Salt Lake for Blend in the summer. However with wedding planning, life and financial obligations my sad blogger bottom will be here in Illinois living vicariously through my favorite bloggers on social media. Theres always next year, right?! But for now I’ll just have a major case of Blendvy! Next weekend we are having our Engagement Pictures taken!! The wedding planning has slightly been stalled due to a lot of other things going on so I am really excited to have our engagement pictures taken and have something fun to look forward to. I am a little extra excited because my friend Christy is going to be taking the pictures and she is AWESOME! Plus they will be taken exactly 1 year before our wedding, so we will be visiting our wedding venue and getting a few taken there too! Have you entered to win your very own Bondi Band? I got another awesome workout in with my band Tuesday and was happy that it stayed in place! 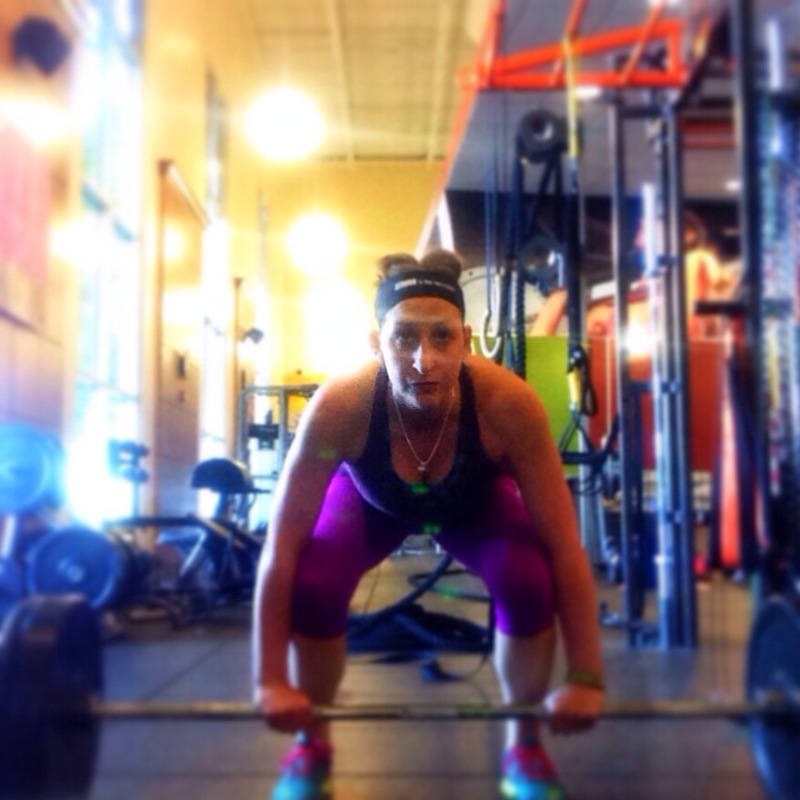 It also proved to get me a new PR on my deadlift. 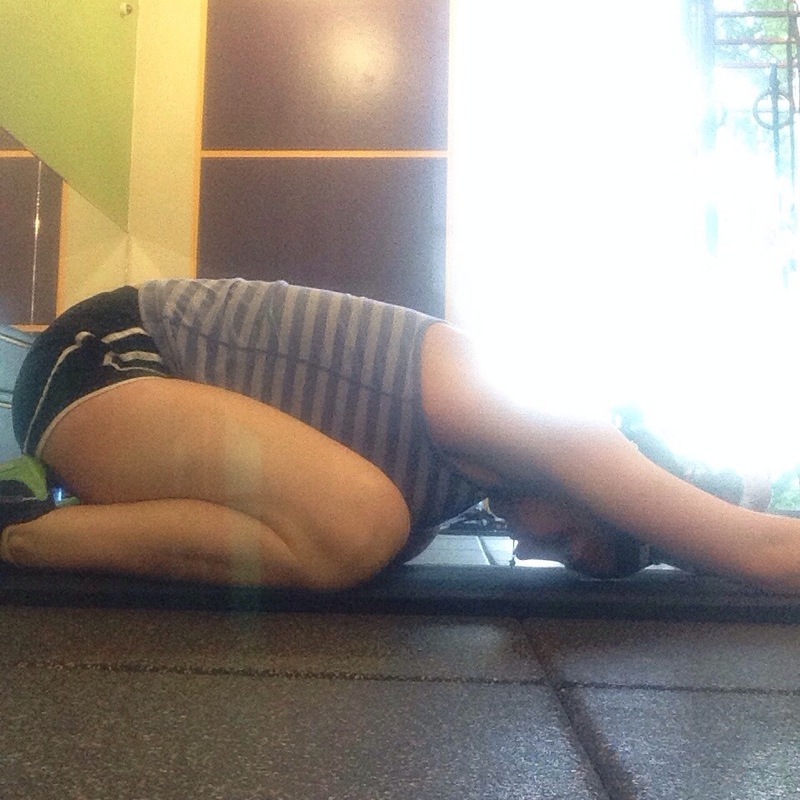 I have been trying for (seemingly) foreverrrrr to lift my bodyweight and have never been able to get the weight up with good form. I am really excited to get the weight up and know that the next time I do this lift I will have significantly more confidence to perform that weight again. Thanks Bondi Band!!! 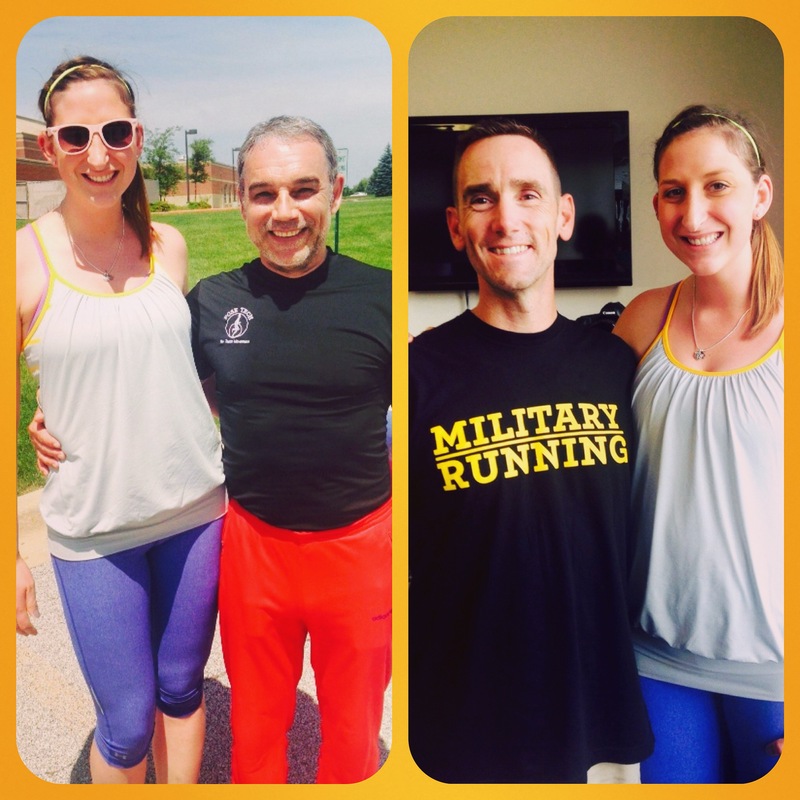 you can use the code SWEATPINK and receive 10% off your order! Thats all I’ve got for today, but make sure you stop over and say Hi to Amanda! Have any good engagement picture ideas?? We are looking for fun and different!